Who knew the GPS feature included with iPhone 3G and 3GS would become so handy. Not only companies are building killer GPS apps for iPhone, but some are coming up with innovative roadside assistant apps that help drivers get out of sticky situation but calling someone to come, help them out wherever they are. 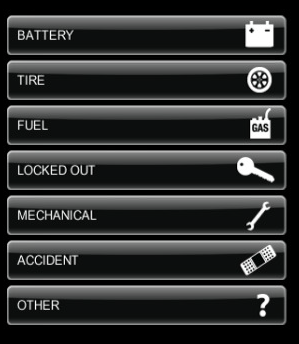 The latest roadside assistant app released to iTunes, MINI Roadside Assistance, is designed for MINI drivers who want to take advantage of their roadside assistance program to avoid getting stuck on the road. The app uses iPhone’s GPS to get help to you in a swift fashion. The app is pretty simple to use. It’s designed to help you select your service and get the help you need as fast as possible. Whether your battery is shot or your tire has flattened, all you have to do is press a couple of options and help is on the way. And since this app uses GPS to locate your position, so you are never stuck with it. 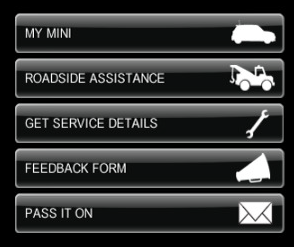 MINI Roadside Assistance app is certainly helpful for MINI drivers. You can also use the service for non-MINI cars, but you will have to incur fees to do so. One would hope that more developers take on the task of creating a killer roadside assistant app. This is an area that hasn’t gotten much love in the past, but the potential for killer apps are there. But it’s only a matter of time before we get more powerful roadside assistant applications on iPhone, and it’ll all be worth the wait.